I don’t know about you, but when I discover something new in my life that piques my interest, I tend to examine it fully, learn about it, and then hunker down with it endlessly. Take the morning green smoothie. It actually doesn’t have to be green, but generally all fruits that enter the house these days get blended up in our trusty Vitamix. The Hubbs and I make one nearly every morning during the week, and it’s become routine. 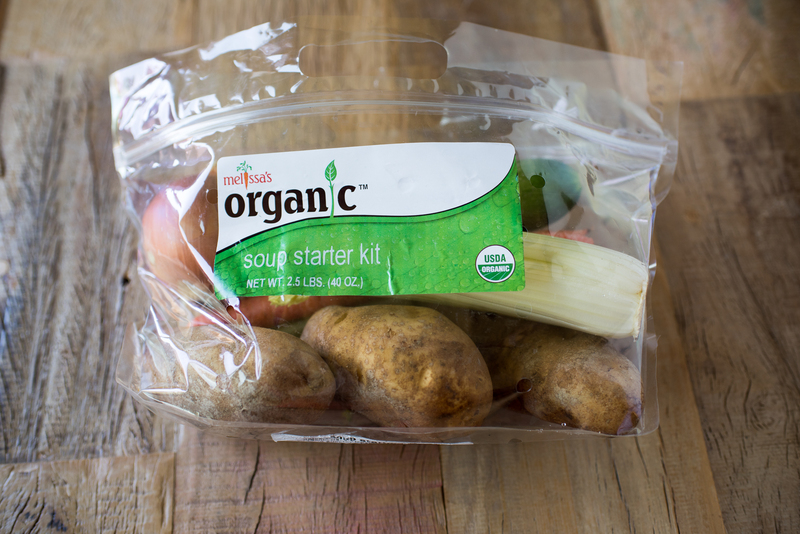 It’s clean, nutritious, and highly portable and easily consumable. The different flavors you can create by combining different fruits, spices, and vegetables in one cohesive smoothie is an endless enjoyable puzzle – a new flavor every day! But every now and then, the familiar gets tired and boring. Do the smoothies work for us? Absolutely, but too much of a good thing can still be too much. So, after the Jackfruit Smoothie, I thought it might be nice to taste ALL the fruits, individually! And, to get you out of 2016 and into 2017, here are some new food trends to look out for according to Melissa’s Produce! Hang onto them for a year and in 2018, I’ll present you with a fresh new set to sink your teeth into. Literally. Rainbow carrots come to mind, and they’re not just limited to Melissa’s Produce either. You can find colorful carrots at your local farmer’s markets, along with purple, green, and orange cauliflower, and my personal favorite, golden beets! It’s great when you can have healthy snackers on hand when you’re on the go, right? If you need something really quick, Melissa’s has their spicy edamame, which is just wonderful! It’s already pre-cooked, so all you have to do is warm them up, toss them in sauce, and you have a delicious snack. You also have fresh coconut and I’m just loving sugar snap peas! The cleanest snack around! 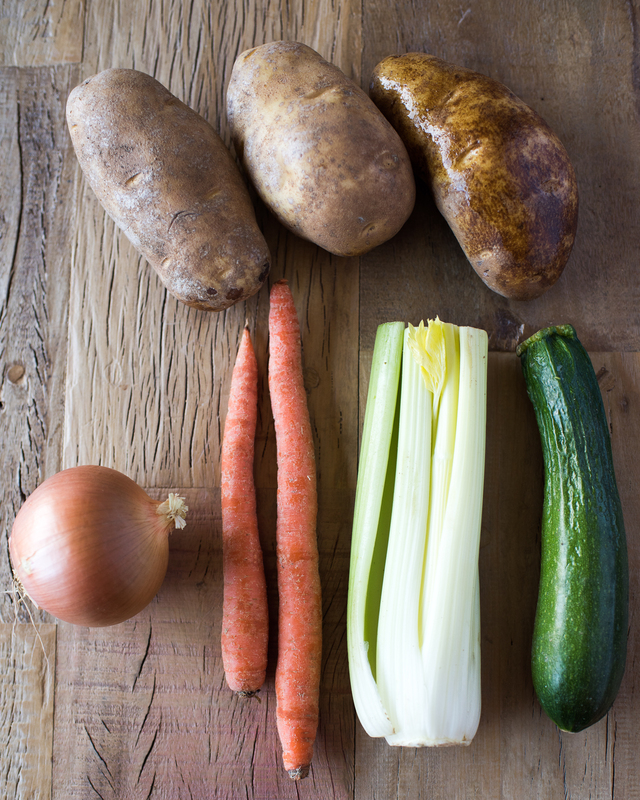 Some veggies to look out for in 2017 are the popularity of Parsnip, Okra, Rhubarb, and Colorful Carrots. I typically don’t do okra or rhubarb, but I can definitely see more parsnip and carrots in my future! Be on the lookout soon for a recipe, actually! When aren’t potatoes trendy?! Well, there are some varieties to seek out when you’re at the grocer – Baby Dutch Yellow Potatoes (DYP’s), Ruby Golds, and the rustic and sometimes creepy (BUT DELICIOUS) Mixed Fingerlings. I love Ruby Golds for potato salad – the skin makes it visually appealing. The DYP’s are good as a roasty breakfast potato, and for fingerlings, I love boiling them in crazy salty water, drain when done, and serve. The salty water leaves a little film of salt once the water dries, and it’s absolutely delightful! Shishitooooooo! It’s my new favorite pepper. Ok, ok, maybe not next to the Hatch Chile, but I will eat a whole bag of these all by myself. The newcomers to look out for are Tatuma, Milpero, Turmeric (which we have seen a little of already), Organic Ginger, Thai Chilies & Guava. The fresh turmeric is great to have on hand. At first, I was confounded with what to do with it, but it’s great to have around for teas. This goes for the ginger too actually. I have a “Sick Elixir” for when I or anyone around me gets sick. It’s just sliced turmeric and ginger, steeped in hot water to make a tea. Add fresh lemon juice, and a teaspoon of honey, and you have a great tea that will help with inflammation, keep your body alkaline, and boost your immune system with every sip. Kumquats, Ojai Pixies Tangerines, Cocktail Grapefruit, and Neapolitan Tangerines are IN. You may or may not have heard of Cocktail Grapefruits, but they are my new favorite. I hate grapefruit, but these… these just have a hint of bitterness, and are sweet, delicious, and curious all in one! They are a part of our Tropical Fruit Bowl today too! Butterscotch Pears (originally known as Korean Pears), Green Dragon Apples, Cristmas Crunch Grapes, and Muscato Grapes. I’m loving the crispness and grand water content of those Butterscotch Pears. So gentle and lovely! 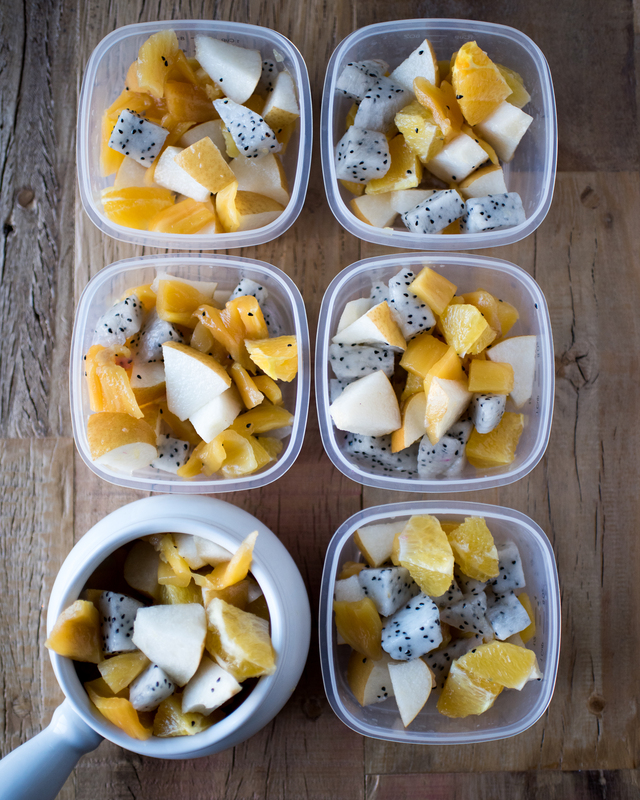 Passion Fruit, Dragon Fruit, Tree Ripened Mango (how can you tell? ), Jackfruit, and everything Coconut! My new absolute favorite fruit of them all is Dragonfruit. It is so exotic, and it’s making its way into mainstream grocery stores more frequently. It has such a subtle, yet luxurious flavor and texture, and is so very beautiful! I hope you enjoyed this re-cap of the different produce trends to look out for this coming year, and I encourage you to get out of your comfort zone a bit, and try something new! If you can’t find these items at your local grocer, you can definitely find them on Melissa’s Produce website. Let me know if you check any of these out – I’m always interested in what’s going on in your kitchen! 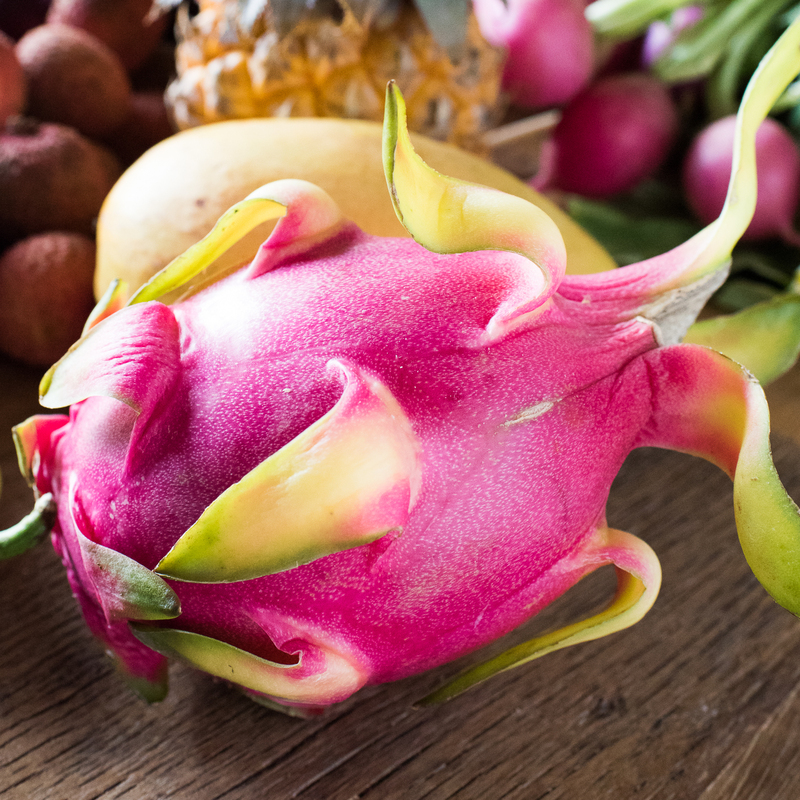 Cut the Dragonfruit in half lengthwise, and carefully scoop out the flesh with a spoon, keeping it intact. Cut into bite-sized pieces, and add to a large bowl. Cut the rind off of the cocktail grapefruit and orange, and cut into 8 wedges, then cut those in half and add to the bowl. Fill a medium sized bowl halfway with water and squeeze half a lemon into the water (juice only). Cut the Butterscotch Pear into bite-sized chunks, and add to the water. This will help prevent the pear from oxidizing (getting brown). Remove from water, drain, and add to the bowl. You don't have to soak them for long. 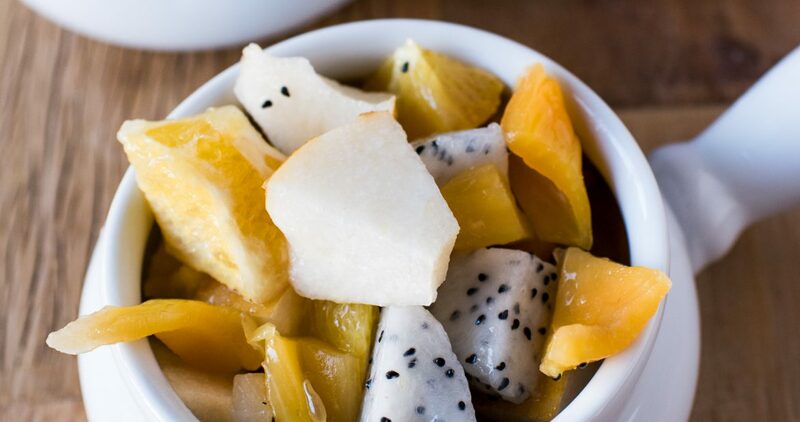 Cut the ripe Jackfruit into bite-sized pieces, and add to the bowl. Toss all of the fruits together, and divide among 6 plates, and serve! Or put into containers for snacks throughout your week.